Void where prohibited. Club Members can cancel any time after receipt of their first Club shipment. Wine can only be sold directly to Club Members in states that have passed reciprocal shipping legislation, and further restrictions and limitations may apply. Must be 21 years of age to purchase and receive shipments of wine. Upon joining, the Club Member authorizes the winery to bill their credit card on file as applicable for all products purchased, handing charges, taxes, and shipping costs as initiated by the Club Member. The Club Member authorizes the winery to act as their agent to engage a common carrier but is solely responsible for the shipment of wine. An adult age 21 or older must sign for any deliveries of alcoholic beverages. Purchases can be held for pick-up for current club pickup fee. Orders not picked up within 14 days will be shipped to the shipping address on file for the customer at current club shipping rate. Discounts and prices are subject to change based on product availability and may not be combined with other offers. Discounts do not apply to e-gift cards, delivery or pickup costs, taxes, or other processing fees. Event discounts, where applicable, entitle active members to 1 discounted ticket per active membership. 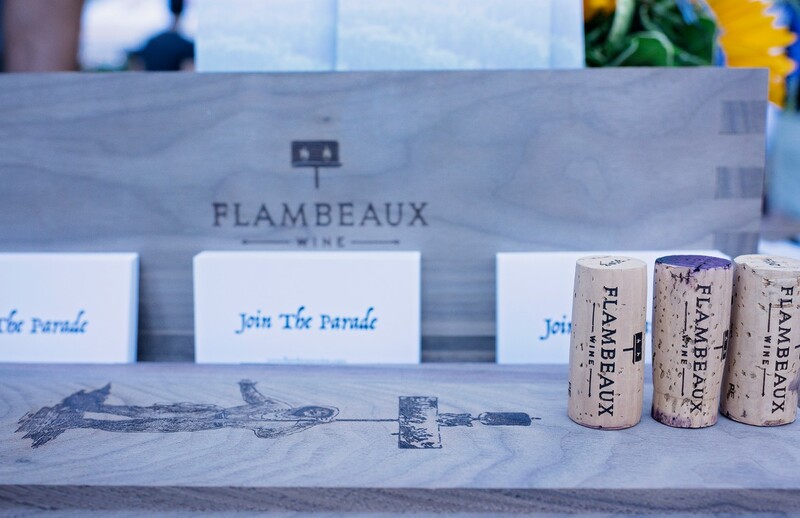 First club selection will ship within 2 weeks of joining the Flambeaux Wine Club. All subsequent shipments will follow regular quarterly schedule.